Aceh Birder are an independent tour organiser and ground agent for birdwatching trips to almost all birding areas in Aceh and other areas in Sumatra. Aceh Birder have supported by Cicem Nanggroe Society (Aceh’s Birder and Birdwatcher). We are exciting, friendly, small-group birdwatching tours designed and guided by a team of leaders and experience with knowledge. We Can assist in arranging birding tours to all areas in Aceh including the Islands like Weh Island (Sabang) and Simeulue Island. Aceh Birder can also organise trips for non-birders with a special interest in cultural, social or nature exploration through community-based tourism and it’s more than birding. 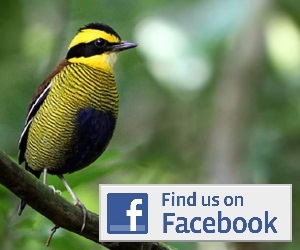 We will bring you to enjoy the Holistic Birding in Aceh of Sumatra. We work to fulfill birdwatchers and common travelers demands from basic to comfort standards, assist in arranging travel documents and permits to remote areas, supply clients with any necessary information for birdwatching and travelling to such areas, build contacts with local guides at each spot, and arrange local transport to all destinations in Aceh. I am interested in arranging a birding tour with your group in July (2018). Do you have availability in the first two weeks on Sumatra? Please send an email to aceh.birder@gmail.com. 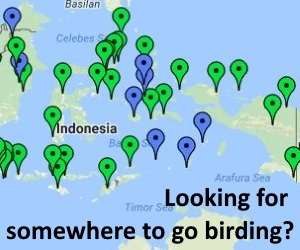 Have you contact Aceh Birder for your birding tour plan? bagaimana caranya saya bisa bergabung atau bekerja di burung nusantara ?